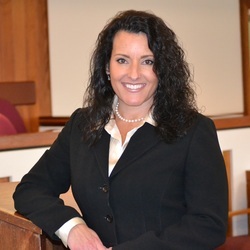 Ashley Whipple has over 17 years of courtroom experience, primarily as a criminal prosecutor of serious felony crimes. In 2012, Ashley went into private practice with a focus on criminal defense and family law. As her client, you can be certain that you have a skilled, aggressive advocate in your corner. Ashley has successfully litigated numerous cases before both judges and juries. However, courtroom experience is not the only asset that Ashley brings to a legal dispute. Her countless hours of research, motions practice, trial preparation, negotiation, and dispute resolution will provide you with the assurance that you have a knowledgeable, qualified, and competent attorney advancing your cause. Todd Whipple has been a trial attorney for more than 18 years. Todd was a criminal prosecutor for 16 years and served as the Chief Deputy Gallatin County Attorney from 2001 to 2013. In 2013, Todd joined Ashley in private practice to form Whipple Law Offices, P.L.L.C. With years of experience litigating complex criminal cases ranging from serious violent felony cases to DUI, drug offenses, and Fish and Game violations, Todd will be able to offer clear direction and support while navigating our legal system. We believe that there is an answer to every question and a solution to every problem. Working together, we and our clients will find a way forward through whatever challenges face them: criminal charges, divorce, custody disputes, or employment litigation. No problem is too big to be made smaller, or too small to warrant our complete attention. The right representation makes a difference. When you need an attorney, you need one that understands the issues you are facing, the dynamics of the relationships involved, and the importance of open communication with the client.